In compliance with out-of-hospital patient transport standards such as EN1789, EN13718-1, IEC60601-1-12 and U.S. military standards, N1 is a highly competent solution for various out-of-hospital transport settings both on land and in air. The N1's exceptional reliability and strong performance enhance your confidence to provide seamless patient care during transport no matter intra or out of hospital. Enhanced data analysis greatly improves parameters' accuracy and anti-interference ability. Its fully integrated sidestream CO2 module monitors the patient's breathing situation by connecting with sampling line directly, freeing caregivers from the shackles of expanding external modules for transport. Slide directly into the module slot or SMR of the N-Series monitor providing an expansive set of parameter measurements. 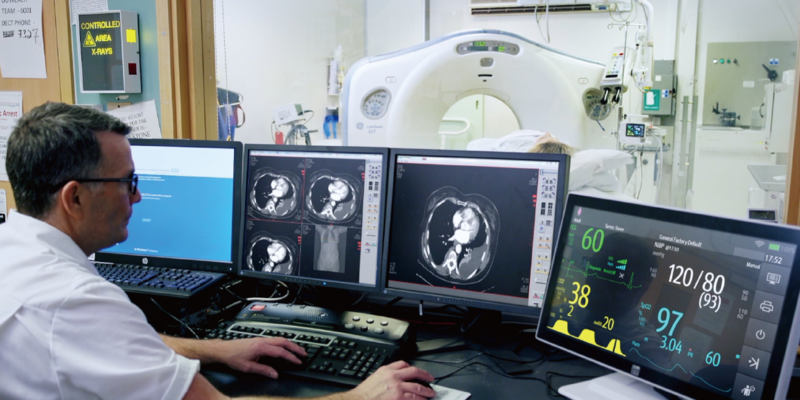 When combined with our additional advanced parameter modules, this solution fits even the highest level of critical care environments. 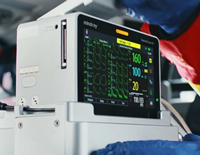 Connect with N-Series host monitor via cable connection to N1 dock and have the ability for dual-screen monitoring and bi-directional control of the bedside monitor - expanding slot space for more advanced parameters and enhanced ICU workflow. Transforms the N1 into a full bedside monitor to support additional parameters, increase functionality and expanded screen settings. Two-way screen or remote control functionality and viewing on both the 19" external display and the N1 unit - simultaneously. 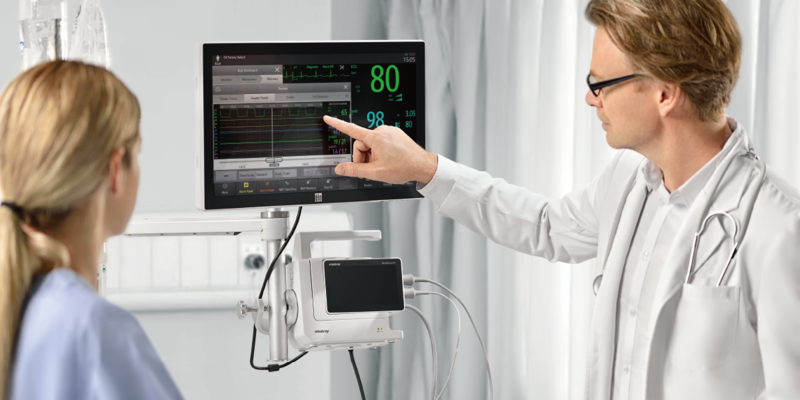 When connected to a bedside patient monitor, advanced parameters collected from the host monitor such as AG and BIS, etc., will also be stored in N1 with trend data and alarm events reviewable even when it is disconnected.